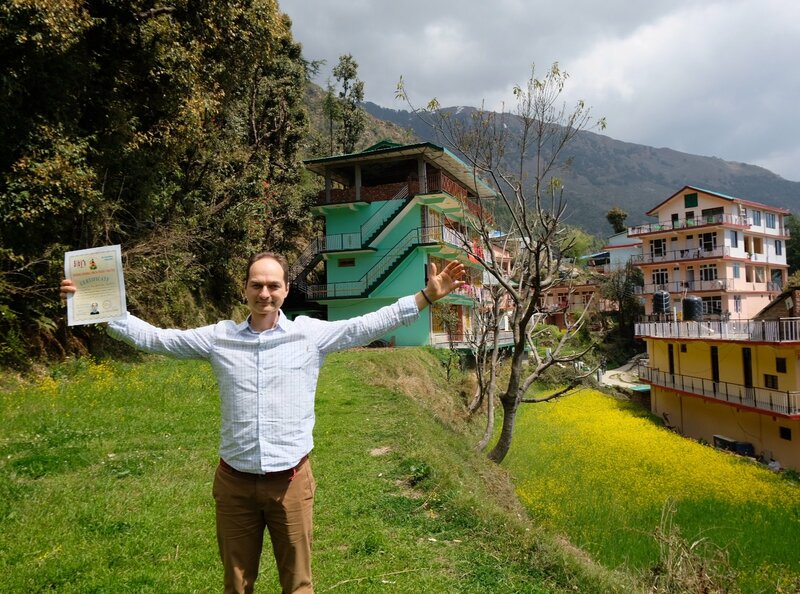 It is a long way yet for me to me to become a Vaidya (Ayurveda Doctor), but here a small step in this direction now. 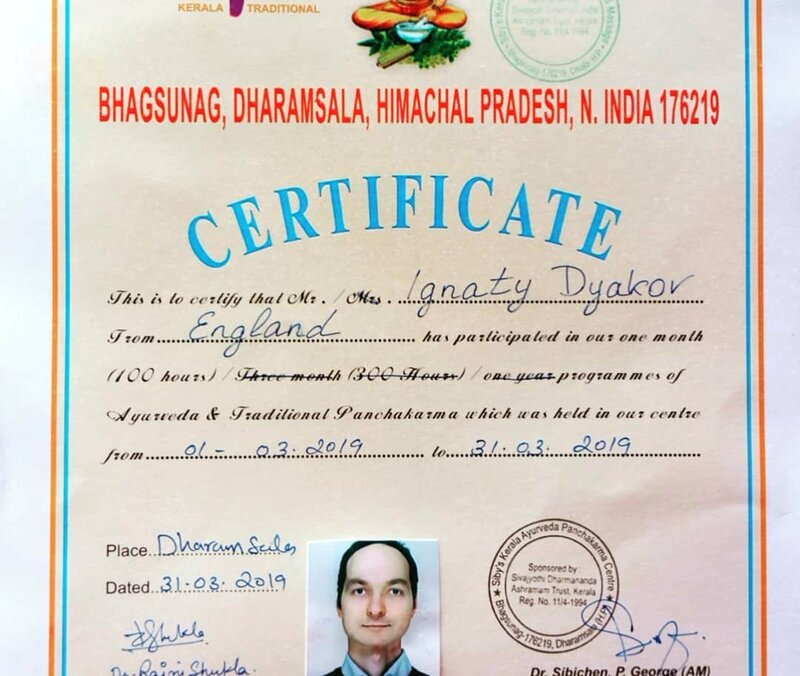 A month long intensive Ayurveda training with the traditional Vaidya Dr Sibichen George has come to its end and I was presented a certificate to testify that. Yet, as Dr Sibi said as he was handing it over to me: “This certificate will not treat anyone. Only you will – with the experience you are going to gain. So go and get it, make small mistakes, then rectify them and keep helping people feel better”. 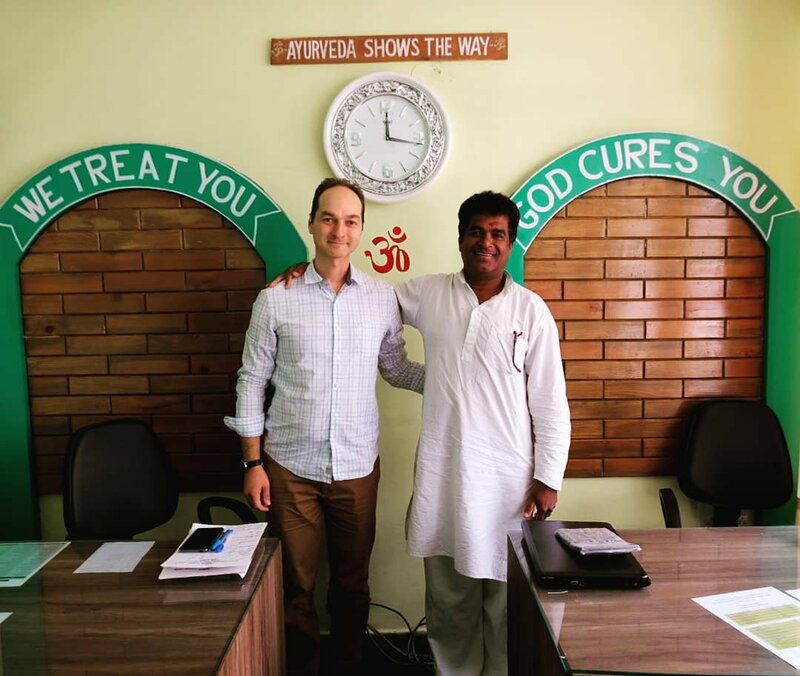 So that is exactly what I intend to do as an Ayurveda lifestyle and diet consultant (as part of my health and life coaching service) alongside continuing my education to become an Ayurveda practitioner/doctor. The first step is to practise identifying people’s constitutions. So if you would like to know what your constitution is according to Ayurveda and get some practical lifestyle and diet recommendations based on it – email or PM me. Consultations are on a donation basis (whatever you will feel like giving), via Skype and last 1-1.5hr.